But now there is an answer. case/lang/veirs, a new album by three phenomenal, self-driven artists will be released June 17 on ANTI- Records with an extensive tour to follow. case/lang/veirs features fourteen original songs written by the artists over a period of two-and-a-half years. It was recorded in Portland, OR where lang and Veirs both live, and produced by Tucker Martine with the group. Sessions commenced in lang’s loft with a view of Mount St. Helens, and in Veirs’ dining room and backyard studio. 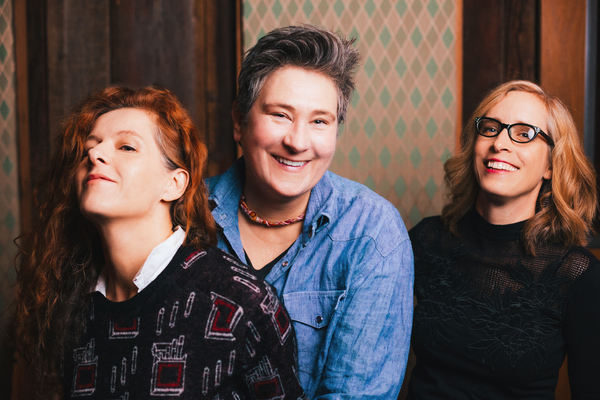 case/lang/veirs will be touring extensively this summer with dates already confirmed for the Greek Theatre in Los Angeles, The Newport Folk Festival, and Brooklyn’s Prospect Park among others. See below for a full itinerary; additional dates will be announced soon. You can listen to the lead track, “Atomic Number,” here and pre-order the album here. See below for a full itinerary; additional dates will be announced soon.